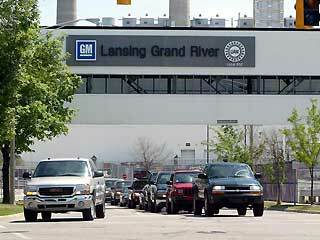 The Lansing Grand River assembly plant’s third shift was short lived. First begun in April of 2016, the third shift has officially been laid off. However, it was fewer employees than originally thought, according to The Lansing State Journal. Originally, 839 employees were set to be cut from the LGR assembly plant, but GM spokesperson Erin Davis stated it was indeed less. Though, exact numbers were not available at the time. Before the layoffs, the plant employed 2,700 workers; 29 salaried and 810 hourly workers were scheduled to be cut. Davis did state employees with seniority were transferred to the Lansing Delta Township assembly, however. GM originally hired 500 additional workers to fill a third shift at the LGR plant, which made for the first time in history the facility was being used at full capacity. Slumping sedan sales ultimately led to the end of the third shift. The hiring was in response to pent-up, sixth-generation Chevrolet Camaro demand. The Lansing Grand River plant is now under a two week shut down to help curb mounting inventories.